Intranet and Document Management Systems are both critical components of any modern workplace and building these solutions represents a step towards a more digitally mature organisation. Had gripes with the classic SharePoint experience? You’re not alone. Microsoft have completely overhauled SharePoint Online and it’s now a user-friendly design that ticks all the boxes. Check it out! Effective collaboration between disparate committees, focus groups and projects can be difficult to achieve, but Microsoft Teams will help your business tackle this tricky problem. Learn how! What is SharePoint and how to use it within your Office 365 account? Bremmar’s video series on the Office 365 apps. 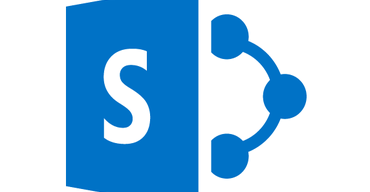 This week we’ll be running through SharePoint Online, which makes collaborating with colleagues and sharing work easy, intuitive and effective. Bremmar’s video series on the Office 365 apps. This week we’ll be running through OneNote, which allows you to create, organise, secure and share notes across multiple devices & teams. Welcome to Bremmar’s video series on the Office 365 apps. This week, we’ll be running through OneDrive for Business, where you can store, share, sync and update your work files from any device. Top 5 TED Talks about digital transformation that Finance professionals must watch! Everyone keeps talking about digital transformation and how businesses MUST embrace it. Ok, we agree. However, what’s the role of digital transformation and what’s exactly needed for it to happen? If you are a visual person, like me, that doesn’t have time to be figuring out complex project management tools, this is the crème de la crème app to get your work organised and to be on top of tasks! SharePoint Online vs. SharePoint Server vs. Office 365. How do you know which is best for your business? A well-designed document management system is one of the most powerful tools an organisation can use to streamline its business processes and empower employees to share and collaborate effectively. Investing in a document management system will improve the everyday efficiency of your business, reduce team frustration, and ensure you meet compliance. 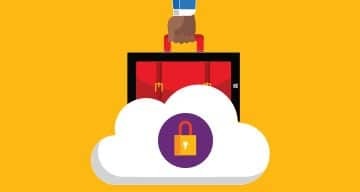 The Office 365 Security and Compliance Center helps your business to meet compliance and data protection obligations. Check out the key tasks and features available. With SharePoint, your business can easily capture, organise and retrieve documents. Collaboration issues will be a thing of the past and you can finally take control over documents. Is your business using Office 365 to its full potential? Follow these tips and tricks to ensure your business is taking full advantage of the platform. Wasting time manually changing your comments colour in reply emails? Here is a better solution! How Microsoft OneNote has helped me to be more efficient and organised at work. Looking for a product to help you organise your work but you’re not very tech savvy and don’t have a big budget? Join the club! Check how OneNote was the perfect solution for my needs. Foster a culture where sharing knowledge and information is key to achieving a competitive edge over your competitors. What are the ‘must have’ collaboration solutions for your business and how they should integrate with each other to maximise the benefits to your organisation. How digital collaboration tools can help you to cultivate a happier, better connected and more productive workforce. Get the ball rolling with SharePoint by keeping it simple. Thinking on trying SharePoint for your document management system or intranet? Start small, facilitate user adoption and let the platform grow with your business. If you’ve already invested in the Microsoft ecosystem, OneDrive for business can take your cloud storage and document sharing to a next level. If you already have Office 365, have you considered SharePoint (for free!)? SharePoint is undoubtedly one of the most powerful tools in Office 365, but also one of the least understood and is often left sitting there, untouched. Why the old server with your files is disappearing. Now, there is a better way for businesses! Transform your document management system into a more mobile, collaborative and productive solution for your staff. Say goodbye to slow and limited access to corporate files and programs while working remotely. Free Windows 10 upgrade: You have 10 days left, should you upgrade or not? Microsoft has been offering free upgrades to the new Windows 10 operating system. What should you take into consideration when evaluating if the upgrade is suited for your business or not. Migrating from onsite Exchange Server to Office 365 Exchange Online – What you need to know! With the recent rise of Office 365 subscribable services it’s hard not to evaluate their product range when planning your next big IT project. For those who didn’t know, Microsoft Lync is now Skype for Business (SFB) in the business world. And it’s a fully integrated part of Microsoft Office 365 in most forms.